Betrayed by Dawn M. Roden is a supernatural novel updated almost never. Betrayed has not been reviewed yet. 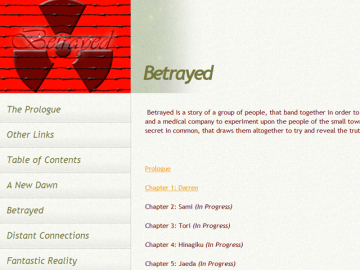 Betrayed has not been recommended yet.